^ Taylor, Philip L. A Quantum Approach to Condensed Matter Physics. Cambridge University Press. 2002. ISBN 0-521-77103-X （英语）. ^ Condensed Matter Physics Jobs: Careers in Condensed Matter Physics. Physics Today Jobs. [2010-11-01]. （原始内容存档于2009-03-27） （英语）. ^ History of Condensed Matter Physics. American Physical Society. [2012-03-27]. （原始内容存档于2011-09-12） （英语）. ^ 4.0 4.1 4.2 4.3 Cohen, Marvin L. Essay: Fifty Years of Condensed Matter Physics. Physical Review Letters. 2008, 101 (25) [2012-03-31]. Bibcode:2008PhRvL.101y0001C. doi:10.1103/PhysRevLett.101.250001 （英语）. ^ 5.0 5.1 Kohn, W. An essay on condensed matter physics in the twentieth century (PDF). Reviews of Modern Physics. 1999, 71 (2): S59 [2012-03-27]. Bibcode:1999RvMPS..71...59K. doi:10.1103/RevModPhys.71.S59. （原始内容 (PDF)存档于2013-08-25） （英语）. ^ Philip Anderson. Department of Physics. Princeton University. [2012-03-27]. （原始内容存档于2011-10-08） （英语）. ^ More and Different. World Scientific Newsletter. 2011-11, 33: 2 （英语）. ^ Physics of Condensed Matter. Google Books. [2015-04-20] （英语）. ^ Martin, Joseph D. What's in a Name Change? Solid State Physics, Condensed Matter Physics, and Materials Science. Physics in Perspective. 2015, 17 (1) [2015-04-20] （英语）. ^ Frenkel, J. Kinetic Theory of Liquids. Oxford University Press. 1947: V （英语）. 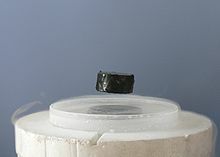 ^ 11.0 11.1 11.2 Goodstein, D.; Goodstein, J. Richard Feynman and the History of Superconductivity (PDF). Physics in Perspective. 2000, 2 (1): 30 [2015-04-07]. Bibcode:2000PhP.....2...30G. doi:10.1007/s000160050035. （原始内容 (PDF)存档于2015-11-17） （英语）. ^ Davy, John (ed.). The collected works of Sir Humphry Davy: Vol. II. Smith Elder & Co., Cornhill. 1839 （英语）. ^ Silvera, Isaac F.; Cole, John W. Metallic Hydrogen: The Most Powerful Rocket Fuel Yet to Exist. Journal of Physics. 2010, 215: 012194. Bibcode:2010JPhCS.215a2194S. doi:10.1088/1742-6596/215/1/012194 （英语）. ^ Rowlinson, J. S. Thomas Andrews and the Critical Point. Nature. 1969, 224 (8): 541. Bibcode:1969Natur.224..541R. doi:10.1038/224541a0 （英语）. ^ Atkins, Peter; de Paula, Julio. Elements of Physical Chemistry. Oxford University Press. 2009: 35-38. ISBN 978-1-4292-1813-9 （英语）. ^ Mendelssohn, K. Dewar at the Royal Institution. Contemporary Physics. 1966, 7 (5): 331–342. doi:10.1080/00107516608204377 （英语）. ^ Heike Kamerlingh Onnes - Biographical. Nobelprize.org. [2016-01-16]. （原始内容存档于2015-09-24） （英语）. ^ Kittel, Charles. Introduction to Solid State Physics. John Wiley & Sons. 1996. ISBN 0-471-11181-3 （英语）. ^ 19.0 19.1 19.2 19.3 19.4 Hoddeson, Lillian. Out of the Crystal Maze: Chapters from The History of Solid State Physics. Oxford University Press. 1992. ISBN 9780195053296 （英语）. ^ 21.0 21.1 Kragh, Helge. Quantum Generations: A History of Physics in the Twentieth Century Reprint. Princeton University Press. 2002. ISBN 978-0691095523 （英语）. ^ van Delft, Dirk; Kes, Peter. The discovery of superconductivity (PDF). Physics Today. 2010-09, 63 (9): 38 [2015-04-07]. Bibcode:2010PhT....63i..38V. doi:10.1063/1.3490499. （原始内容 (PDF)存档于2011-07-18） （英语）. ^ Slichter, Charles. Introduction to the History of Superconductivity. Moments of Discovery. American Institute of Physics. [2012-06-13]. （原始内容存档于2012-05-15） （英语）. ^ Schmalian, Joerg. Failed theories of superconductivity. Modern Physics Letters B. 2010, 24 (27): 2679. Bibcode:2010MPLB...24.2679S. arXiv:1008.0447. doi:10.1142/S0217984910025280 （英语）. ^ Whittaker, E. T. A history of the theories of aether and electricity. Vol 1. London: Nelson. 1951 （英语）. ^ Hall, Edwin. On a New Action of the Magnet on Electric Currents. American Journal of Mathematics. 1879, 2 (3): 287–92 [2008-02-28]. JSTOR 2369245. doi:10.2307/2369245. （原始内容存档于2007-02-08） （英语）. ^ Landau, L. D.; Lifshitz, E. M. Quantum Mechanics: Nonrelativistic Theory. Pergamon Press. 1977. ISBN 0750635398 （英语）. ^ Lindley, David. Focus: Landmarks—Accidental Discovery Leads to Calibration Standard. APS Physics. 2015-05-15 [2016-01-09]. （原始内容存档于2015-09-07） （英语）. ^ 29.0 29.1 Mattis, Daniel. The Theory of Magnetism Made Simple. World Scientific. 2006. ISBN 9812386718 （英语）. ^ Chatterjee, Sabyasachi. Heisenberg and Ferromagnetism. Resonance. 2004-08, 9 (8): 57. doi:10.1007/BF02837578 （英语）. ^ Pierre Curie - Biography. Nobelprize.org. The Nobel Foundation 1903. [2013-03-14]. （原始内容存档于2016-01-18） （英语）. ^ Visintin, Augusto. Differential Models of Hysteresis. Springer. 1994. ISBN 3540547932 （英语）. ^ Merali, Zeeya. Collaborative physics: string theory finds a bench mate. Nature. 2011, 478 (7369): 302–304. Bibcode:2011Natur.478..302M. PMID 22012369. doi:10.1038/478302a （英语）. ^ 34.0 34.1 Coleman, Piers. Many-Body Physics: Unﬁnished Revolution. Annales Henri Poincaré. 2003, 4 (2): 559. Bibcode:2003AnHP....4..559C. arXiv:cond-mat/0307004v2. doi:10.1007/s00023-003-0943-9 （英语）. ^ Kadanoff, Leo, P. Phases of Matter and Phase Transitions; From Mean Field Theory to Critical Phenomena (PDF). The University of Chicago. 2009. （原始内容 (PDF)存档于2015-12-31） （英语）. ^ 36.0 36.1 Coleman, Piers. Introduction to Many Body Physics (PDF). Rutgers University. 2011. （原始内容 (PDF)存档于2010-01-19） （英语）. ^ 37.0 37.1 von Klitzing, Klaus. THE QUANTIZED HALL EFFECT (PDF). Nobelprize.org. 9 Dec 1985. ^ 38.0 38.1 Fisher, Michael E. Renormalization group theory: Its basis and formulation in statistical physics. Reviews of Modern Physics. 1998, 70 (2): 653 [2014-04-07]. Bibcode:1998RvMP...70..653F. doi:10.1103/RevModPhys.70.653 （英语）. ^ Von Klitzing, K. 25 Years of Quantum Hall Effect (QHE) A Personal View on the Discovery, Physics and Applications of this Quantum Effect. The Quantum Hall Effect (PDF). Basel: Birkhäuser Verlag. 2005: 1-21 [2016-01-10]. ISBN 978-3-7643-7300-9. doi:10.1007/3-7643-7393-8_1. （原始内容 (PDF)存档于2015-07-12） （英语）. ^ Avron, Joseph E.; Osadchy, Daniel; Seiler, Ruedi. A Topological Look at the Quantum Hall Effect. Physics Today. 2003, 56 (8): 38. Bibcode:2003PhT....56h..38A. doi:10.1063/1.1611351 （英语）. ^ David J Thouless. Topological Quantum Numbers in Nonrelativistic Physics. World Scientific. 12 March 1998. ISBN 978-981-4498-03-6. ^ Gerlin, Andrea. Tecnion’s Shechtman Wins Nobel in Chemistry for Quasicrystals Discovery. Bloomberg. 2011-10-05. （原始内容存档于2011-10-07） （英语）. ^ Cates, M. E. Soft Condensed Matter (Materia Condensata Soﬃce): 11650. 2004. Bibcode:2004cond.mat.11650C. arXiv:cond-mat/0411650v1 （英语）. ^ 46.0 46.1 Quintanilla, Jorge; Hooley, Chris. The strong-correlations puzzle (PDF). Physics World. 2009-06 [2015-06-14]. （原始内容 (PDF)存档于2012-09-06） （英语）. ^ Bouvier, Jacqueline; Bok, Julien. Electron–Phonon Interaction in the High-TC Cuprates in the Framework of the Van Hove Scenario. Advances in Condensed Matter Physics. 2010, 2010: 472636. doi:10.1155/2010/472636 （英语）. ^ Eugenie Samuel Reich. Hopes surface for exotic insulator. Nature. [2016-01-09]. （原始内容存档于2015-10-15） （英语）. ^ Dzero, V.; K. Sun; V. Galitski; P. Coleman. Topological Kondo Insulators. Physical Review Letters. 2009, 104 (10): 106408 [2013-01-06]. Bibcode:2010PhRvL.104j6408D. arXiv:0912.3750. doi:10.1103/PhysRevLett.104.106408 （英语）. ^ 50.0 50.1 50.2 50.3 Yeh, Nai-Chang. A Perspective of Frontiers in Modern Condensed Matter Physics (PDF). AAPPS Bulletin. 2008, 18 (2) [2012-03-31]. （原始内容 (PDF)存档于2015-12-31） （英语）. ^ Understanding Emergence. National Science Foundation. [2012-03-30]. （原始内容存档于2010-05-28） （英语）. ^ Levin, Michael; Wen, Xiao-Gang. Colloquium: Photons and electrons as emergent phenomena. Reviews of Modern Physics. 2005, 77 (3): 871. Bibcode:2005RvMP...77..871L. arXiv:cond-mat/0407140. doi:10.1103/RevModPhys.77.871 （英语）. ^ Ohtomo, A.; Hwang. A high-mobility electron gas at the LaAlO3/SrTiO3 heterointerface. Nature. 29 Jan 2004, 427 (6973): 423–426. Bibcode:2004Natur.427..423O. doi:10.1038/nature02308 （英语）. ^ Gariglio, S.; Reyren, N.; Caviglia, A. D.; Triscone, J.-M. Superconductivity at the LaAlO3/SrTiO3 interface. Journal of Physics: Condensed Matter. 31 March 2009, 21 (16): 164213. Bibcode:2009JPCM...21p4213G. doi:10.1088/0953-8984/21/16/164213 （英语）. ^ Bert, Julie A.; Kalisky, Bell; Kim, Hikita; Hwang, Moler. Direct imaging of the coexistence of ferromagnetism and superconductivity at the LaAlO3/SrTiO3 interface. Nature Physics. 4 September 2011, 7 (10): 767–771. Bibcode:2011NatPh...7..767B. arXiv:1108.3150. doi:10.1038/nphys2079 （英语）. ^ Eckert, Michael. 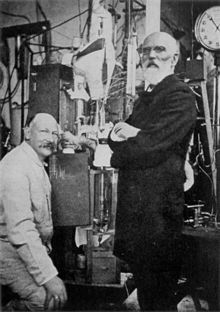 Disputed discovery: the beginnings of X-ray diffraction in crystals in 1912 and its repercussions. Acta Crystallographica A. 2011, 68 (1): 30. Bibcode:2012AcCrA..68...30E. doi:10.1107/S0108767311039985. （原始内容存档于2015-12-31） （英语）. ^ 57.0 57.1 Perdew, J. P.; Ruzsinszky, A. Fourteen Easy Lessons in Density Functional Theory (PDF). International Journal of Quantum Chemistry. 2010, 110 (15): 2801–2807 [2012-05-13]. doi:10.1002/qua.22829. （原始内容 (PDF)存档于2015-12-31） （英语）. ^ Ashcroft, N. W.; Mermin, N. D. Solid state physics. Saunders College. 1976. ISBN 978-0-03-049346-1 （英语）. ^ Nambu, Y. Spontaneous Symmetry Breaking in Particle Physics: a Case of Cross Fertilization. Nobelprize.org. 2008 [2016-01-27]. （原始内容存档于2015-09-22） （英语）. ^ Greiter, M. Is electromagnetic gauge invariance spontaneously violated in superconductors? (PDF). Annals of Physics. 2005, 319 (1): 217–249. doi:10.1016/j.aop.2005.03.008 （英语）. ^ Leutwyler, H. Phonons as Goldstone bosons. ArXiv. 1996: 9466. Bibcode:1996hep.ph....9466L. arXiv:hep-ph/9609466v1 （英语）. ^ 62.0 62.1 Condensed Matter Physics, Physics Through the 1990s. National Research Council. 1986. ISBN 0-309-03577-5 （英语）. ^ Vojta, M. Quantum phase transitions (PDF). Reports on Progress in Physics. 2003, 66 (12): 2069 （英语）. ^ Malcolm F. Collins Professor of Physics McMaster University. Magnetic Critical Scattering. USA: Oxford University Press. 1989. ISBN 978-0-19-536440-8 （英语）. ^ Balents, Leon; Bartosch, Lorenz; Burkov, Anton; Sachdev, Subir and Sengupta, Krishnendu. Competing Orders and Non-Landau–Ginzburg–Wilson Criticality in (Bose) Mott Transitions. Progress of Theoretical Physics. 2005,. Supplement (160): 314. Bibcode:2005PThPS.160..314B. arXiv:cond-mat/0504692. doi:10.1143/PTPS.160.314 （英语）. ^ Sachdev, Subir; Yin, Xi. Quantum phase transitions beyond the Landau–Ginzburg paradigm and supersymmetry. Annals of Physics. 2010, 325 (1): 2. Bibcode:2010AnPhy.325....2S. arXiv:0808.0191v2. doi:10.1016/j.aop.2009.08.003 （英语）. ^ Richardson, Robert C. Experimental Techniques in Condensed Matter Physics at Low Temperatures. Addison-Wesley. 1988. ISBN 0-201-15002-6 （英语）. ^ 68.0 68.1 Chaikin, P. M.; Lubensky, T. C. Principles of condensed matter physics. Cambridge University Press. 1995. ISBN 0-521-43224-3 （英语）. ^ Zhang, W. Photoemission Spectroscopy on High Temperature Superconductor: A Study of Bi2Sr2CaCu2O8 by Laser-Based Angle-Resolved Photoemission. Springer Science & Business Media. 2012-08-22. ISBN 978-3-642-32472-7 （英语）. ^ Siegel, R. W. Positron Annihilation Spectroscopy. Annual Review of Materials Science. 1980, 10: 393–425. Bibcode:1980AnRMS..10..393S. doi:10.1146/annurev.ms.10.080180.002141 （英语）. ^ Committee on Facilities for Condensed Matter Physics. Report of the IUPAP working group on Facilities for Condensed Matter Physics : High Magnetic Fields (PDF). International Union of Pure and Applied Physics. 2004 [2016-01-09]. （原始内容 (PDF)存档于2014-02-22） （英语）. The magnetic field is not simply a spectroscopic tool but is a thermodynamic variable which, along with temperature and pressure, controls the state, the phase transitions and the properties of materials. ^ 72.0 72.1 Committee to Assess the Current Status and Future Direction of High Magnetic Field Science in the United States; Board on Physics and Astronomy; Division on Engineering and Physical Sciences; National Research Council. High Magnetic Field Science and Its Application in the United States: Current Status and Future Directions. National Academies Press. 2013-11-25. ISBN 978-0-309-28634-3. （原始内容存档于2015-02-23） （英语）. ^ Moulton, W. G. and Reyes, A. P. Nuclear Magnetic Resonance in Solids at very high magnetic fields. (编) Herlach, Fritz. High Magnetic Fields. Science and Technology. World Scientific. 2006. ISBN 9789812774880 （英语）. ^ Doiron-Leyraud, Nicolas; 等. Quantum oscillations and the Fermi surface in an underdoped high-Tc superconductor. Nature. 2007, 447 (7144): 565–568. Bibcode:2007Natur.447..565D. PMID 17538614. arXiv:0801.1281. doi:10.1038/nature05872 （英语）. ^ Buluta, Iulia; Nori, Franco. 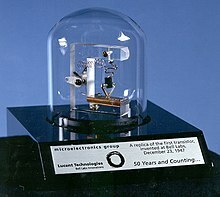 Quantum Simulators. Science. 2009, 326 (5949): 108–11. Bibcode:2009Sci...326..108B. PMID 19797653. doi:10.1126/science.1177838 （英语）. ^ 76.0 76.1 Greiner, Markus; Fölling, Simon. Condensed-matter physics: Optical lattices. Nature. 2008, 453 (7196): 736–738. Bibcode:2008Natur.453..736G. PMID 18528388. doi:10.1038/453736a （英语）. ^ Glanz, James. 3 Researchers Based in U.S. Win Nobel Prize in Physics. The New York Times. 2001-10-10 [2012-05-23]. （原始内容存档于2015-12-31） （英语）. ^ Commission on Physical Sciences, Mathematics, and Applications. Condensed Matter Physics. National Academies Press. 1986. ISBN 978-0-309-03577-4. （原始内容存档于2015-07-09） （英语）. ^ Lifshitz, R. Nanotechnology and Quasicrystals: From Self-Assembly to Photonic Applications. NATO Science for Peace and Security Series B. Silicon versus Carbon. 2009: 119. ISBN 978-90-481-2522-7. doi:10.1007/978-90-481-2523-4_10 （英语）. Khan, A. Q. Dimensional Anistrophy in Condensed Matter Physics (PDF). Seven National Symposium on Frontiers in Physics. 7. 1998-11-21, 7 (7) [2012-10-21]. （原始内容 (PDF)存档于2015-12-31） （英语）. Mudry, C. Lecture Notes on Field Theory in Condensed Matter Physics. World Scientific. 2014. ISBN 978-981-4449-10-6 （英语）. Chaikin, P. M.; Lubensky, T. C. Principles of Condensed Matter Physics 1. Cambridge University Press. 2000. ISBN 0-521-79450-1 （英语）. Altland, A.; Simons, B. Condensed Matter Field Theory. Cambridge University Press. 2006. ISBN 0-521-84508-4 （英语）. Marder, M. P. Condensed Matter Physics 2. John Wiley and Sons. 2010. ISBN 0-470-61798-5 （英语）. Hoddeson, L.; Braun, E.; Teichmann, J.; Weart, S. (编). Out of the Crystal Maze: Chapters from the History of Solid State Physics. Oxford University Press. 1992. ISBN 0-195-05329-X （英语）.